Communications professionals are constantly at the crossroads of new challenges. These challenges are ushered by the coming of new communication platforms and the blurring lines between brand communication and brand management. Now, the new age comms person is the custodian of the brand and not just a gatekeeper of news and access provider to media. 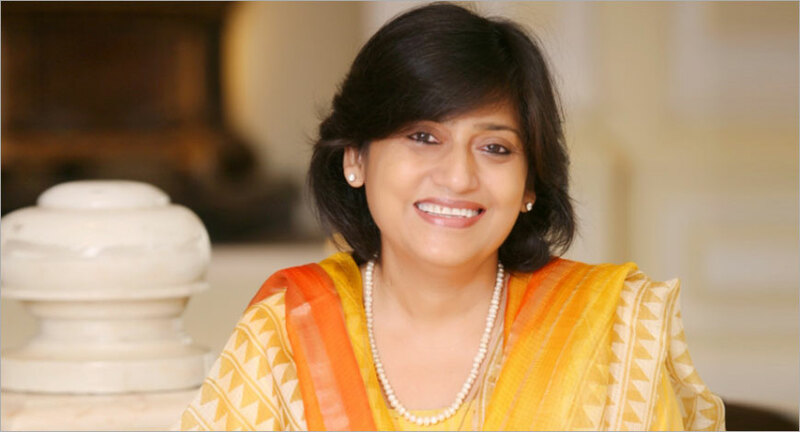 In an interview with exchange4media, Nandini Chatterjee, Chief Communications Officer, PwC India, spoke about the shift in the communications space and the future of corporate communications. How has the communications domain evolved over the years if you talk about it in the Indian context? The communications function itself has evolved a lot with expansion in platforms available for communicating. In the media landscape we have seen a sharp rise in digital news consumption, social media usage and yet, print and TV continues to grow as well. Podcasts are finding interest with people always on the move. Even bloggers, influencers-- the target stakeholders, environment has multiplied. So communication professionals when creating outreach strategy have to consider multiple platforms. If you look at internal communication, it is no more just email communication. Videos and internal social platforms allow two-way communication. As a result, the target audience has a lot of content coming their way. So a communications person has to better the communications itself for it to stand out from the increased clutter, and it requires additional skills. One such being, use of data analytics to know what works and what needs to improve. Fake news is another aspect that comms find themselves dealing with. It can lead to difficult situations, and with social media, can flare up. From a purely functional point, has the role of communications professional expanded from merely managing the press? If yes in what way? Firstly, I don’t think the role was ever of ‘managing press’. One can build relations over time and because of past positive interactions, a media person is open to hearing your POV. This aspect will always stay for any interaction. What has evolved is that a comms person today must see themselves as ‘business partners’, understanding marketing objectives and the role of communication to achieve these. A comms person is the custodian of the brand and not just a gatekeeper of news and access provider to media. Comms persons need to also work closely with the human capital team for employee engagement. Both have a common objective that employees should feel proud of working in the organization. Also, corp comm professionals are in a position to enable real time engagement and actual conversation with the target audience. For this, they need to play a role in message development and then driving those messages through quality content that is communicated to stakeholders. This brings to the fore core communication skills and being able to write interesting, inspiring and authentic content. How has social media impacted the communications domain? In so many ways! Firstly, it allows engagement with stakeholders. It has given brands a platform to really communicate with its stakeholders - not just talk to them, but also to listen to what they are saying. Social media has given audiences a voice and the power to share their views within their circle of influence, therefore, making brands more accountable as well. Companies can better see the instant effect of content and so are now able to link social media posts with lead generation. Moreover, we have also seen a contraction of the news cycle with the advent of social media. Today, news is more likely to break on Twitter first than on TV. Therefore, the time an organisation takes to respond to news is much shorter. Also, with small budgets, entrepreneurs can target their audience and bloggers, influencers need to be communicated with. What are the three biggest challenges facing communications professionals today? I would say constantly evolving, learning and up-skilling. This is tied to the technological advancement that the industry has seen. Just ten years ago, social media or content marketing as a skill, did not exist. Today, one cannot be a communications professional without this. Data Analytics is another skill that comms professionals increasingly are feeling the need to invest in. This is to better understand the target audience, what experiences matter, what makes them tick, what communication works, etc. Data and insights from multiple sources - be it from our own business or the marketplace –will help drive relevant storytelling. Artificial Intelligence (AI) is set to disrupt many industries and communications is one of them. What takes us a team to accomplish right now, like campaign management, for example, will probably be done by a bot in a few years' time. It is the soft skills which will stay--creative thinking, design thinking will give an edge. What trends do you foresee for the communications domain, globally and in the Indian context? Better targeting has been enabled with the digital platforms through paid content. In the past, audiences were wary of advertorials and marketed content/paid content. But increasingly, brands are taking the content marketing route to tell their story and audiences are more open to it than before. Globally, we can see that content itself is constantly changing formats. Today, video is a preferred format but in the future, one can expect VR to come in and disrupt the way we communicate. Data will drive where, when and how to communicate, which efforts are working and which are not. ROI will be better visible. Newer technologies beyond AR, VR today, which may be something even more engaging for catching the attention of the target audience, could disrupt the communications space. Also, crisis management will be one of the most important skills asked for from comms professionals in the future.